Promotional value expires 120 days after purchase. Amount paid never expires. Registration required. Limit 1 per person, may buy 1 additional as gift. Limit 1 per visit. Must use promotional value in 1 visit. Valid only for option purchased. All goods or services must be used by the same person. Must be 15 years or older. Merchant is solely responsible to purchasers for the care and quality of the advertised goods and services. Following handshakes, Stephanie Forbes Hudgins’s preferred greeting for new clients is inspections of their spines. The certified Pilates instructor conducts detailed alignment evaluations as part of introductory sessions, during which she studies new students’ postures, pinpoints their goals, and outlines their medical histories. The consultations enable her to personalize her future lessons—she is well versed in making her exercises easier to accommodate those who are injured, pregnant, or really full. Her studio's policy is one of universal acceptance: guests of every age and experience level are welcome. 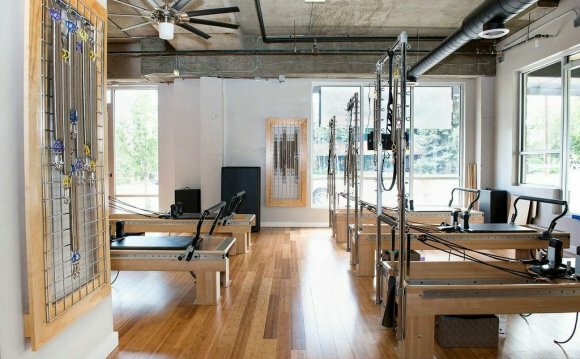 The team of instructors' private, duet, and group lessons encompass the focused stretches and core-tightening holds of both classic and modern Pilates, aided by ample tools such as Reformers, chairs, balls, tubing, and TRX Suspension cords. Her staff's curriculum reaches beyond Pilates to include barre fitness and other disciplines.